Diabetes Prevention Program becomes first preventive service model to be made eligible for expansion into Medicare program. The Diabetes Prevention Plan, the largest diabetes prevention study and program in the United States, was found to improve the quality of patient care without limiting coverage or benefits. The independent Office of the Actuary in the Centers for Medicare and Medicaid Services determined that the program, which consists of weekly meetings with a lifestyle coach who trained participants in long-term dietary and behavior changes and increased physical activity, actually resulted in a reduction in net Medicare spending. As a result, the Diabetes Prevention Plan has become the first-ever preventative service model to be made eligible for expansion into the Medicare program. Medicare beneficiaries who enrolled in the program lost on average about 5% of their body weight, which can reduce the risk of developing type 2 diabetes. Average weight loss was 4.73 percent of body weight for participants attending at least four weekly sessions. Participants who attended at least nine weekly sessions lost an average of 5.17 percent of their body weight. When compared with similar beneficiaries not in the program, Medicare estimated savings of $2,650 for each enrollee in the Diabetes Prevention Program over a 15-month period—more than enough to cover the cost of the program. Additionally, in a study developed from analysis of Diabetes Prevention Plan program data, researchers from Johns Hopkins were able to determine that people with pre-diabetes who lose roughly 10%of their body weight within six months of diagnosis dramatically reduce their risk of developing type 2 diabetes over the subsequent three years. These findings offer patients and physicians a guide on how short-term behavior change may affect long-term health. Currently affecting nearly 30 million Americans, type 2 diabetes is responsible for two deaths every five minutes in the United States. An additional 86 million Americans have a high risk of developing diabetes, as one in every three adults is pre-diabetic, a condition caused by blood glucose levels that are high, but not high enough to be diagnosed as diabetes. People diagnosed with pre-diabetes are at an increased risk for type-2 diabetes in addition to heart disease and stroke. 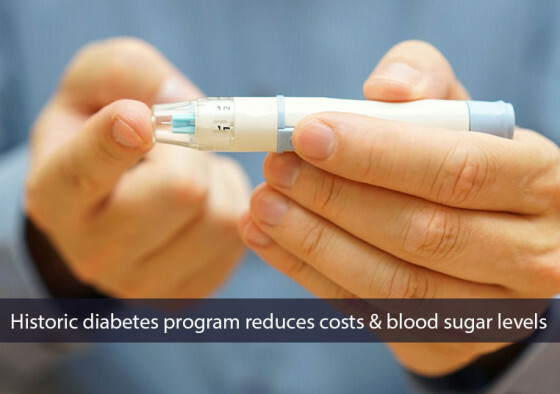 To find out more about Johns Hopkins’ own diabetes self-management solution, click here.